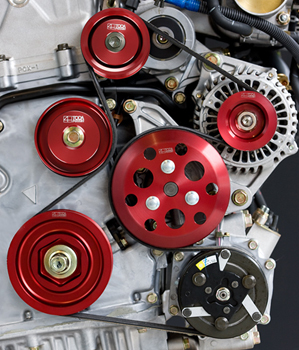 Installation image with a combination of F20C/F22C(AP1/AP2) Light Weight Front Pulley KIT. 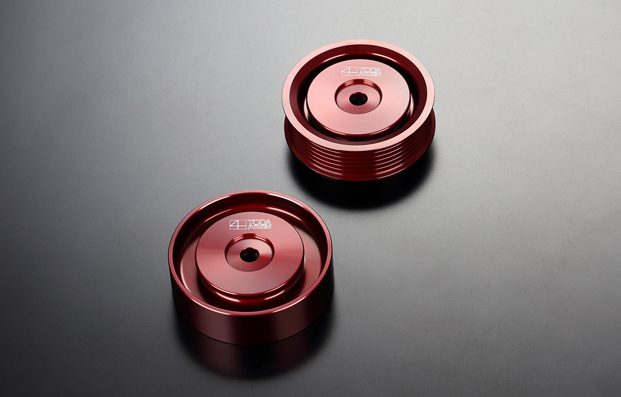 *Can be installed with or without Light Weight Front Pulley KIT. Made from A7075 duralumin and given a hard anodized (Alumite) coating. 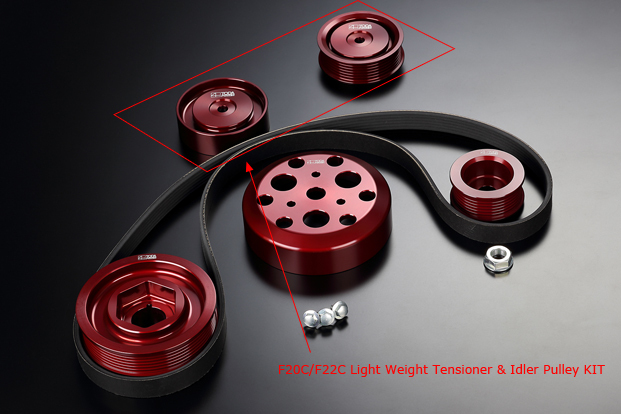 Light weight pulleys help to improve engine response.